"The money Scotmid raises for us this year will help us save lives by adding 2,000 new potential donors to our bone marrow register from Scotmid’s retail areas." The Scottish Midland Co-operative Society’s new Charity of the Year partnership with blood cancer charity Anthony Nolan launched in Edinburgh this week. 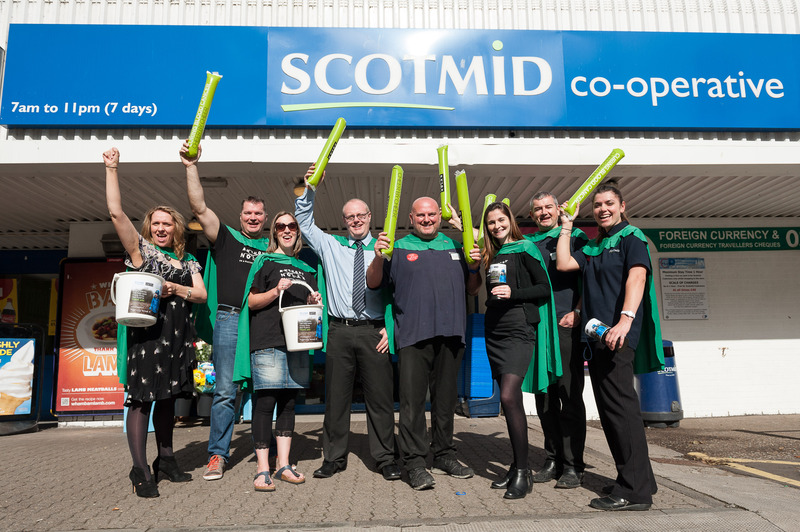 Scotmid Co-operative, and its brands Semichem, Lakes & Dales Co-operative and Scotmid Co-operative Funeral Directors, are raising funds and awareness for Anthony Nolan from September 2014 until September 2015. 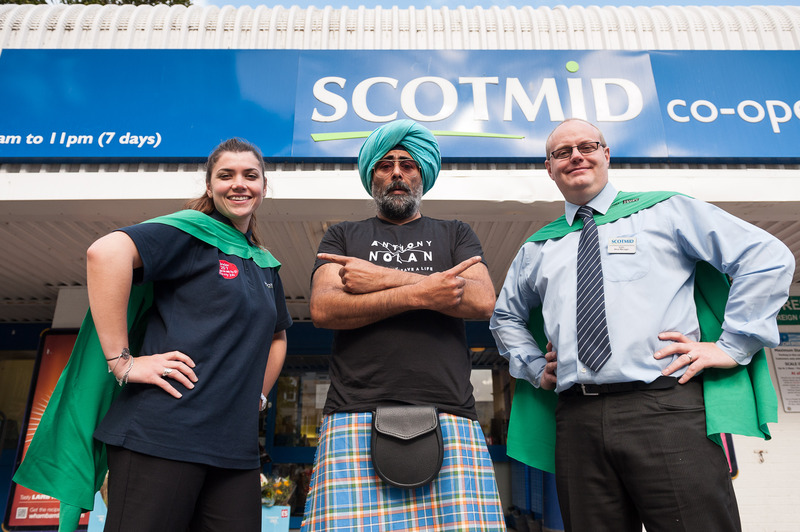 Nearly 5,000 staff members from more than 350 stores have turned into ‘The Scotmid Lifesavers’ for the year, teaming up with their communities to raise a target of £200,000 for Anthony Nolan. The partnership between the organisations will be a lifesaving match for people with blood cancer, helping Anthony Nolan to find matching donors for those who desperately need a bone marrow transplant. The partnership launched in Edinburgh with an event at the city’s Portobello Scotmid store on Monday. Representatives from the Society and Anthony Nolan were present and store employees dressed up in ‘The Scotmid Lifesavers’ capes to pledge their support for the lifesaving partnership. 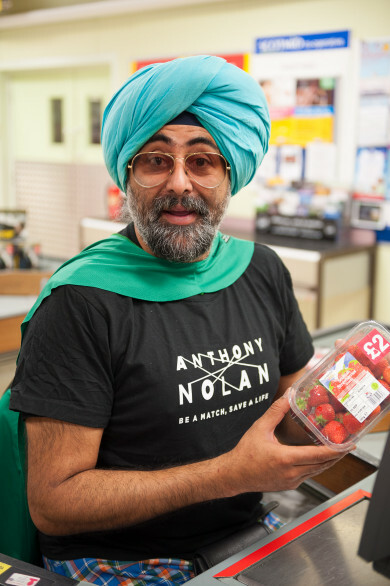 Also taking part was writer and broadcaster Hardeep Singh Kohli and myelodysplastic syndrome patient Ally Boyle, from Hamilton, South Lanarkshire, who is a dedicated Anthony Nolan supporter. The retired firefighter will eventually need a bone marrow transplant because his condition means he doesn’t have enough healthy white blood cells. 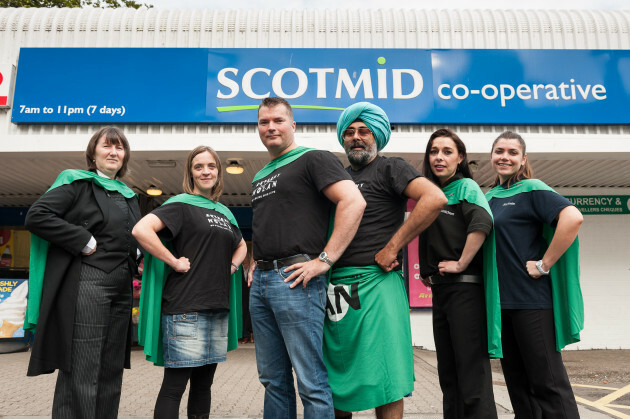 Throughout the next year Scotmid Co-operative stores will also hold a range of events to raise money and awareness for Anthony Nolan. 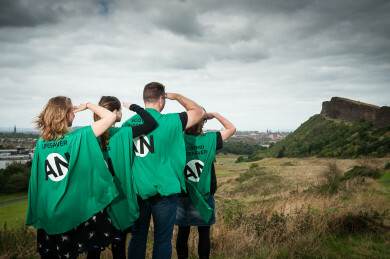 Catherine Miles, Director of Fundraising at Anthony Nolan, said: “The money Scotmid raises for us this year will help us save lives by adding 2,000 new potential donors to our bone marrow register from Scotmid’s retail areas – Scotland, North of England and Northern Ireland. 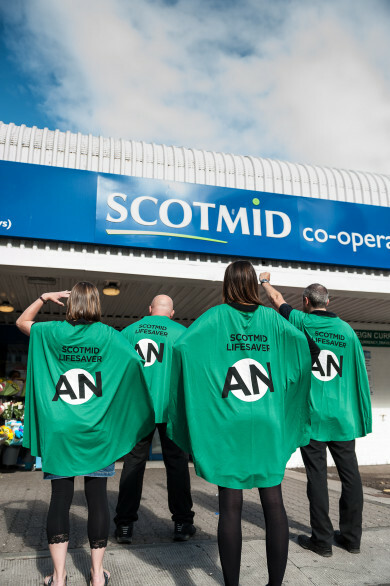 Malcolm Brown, Head of Corporate Communications for Scotmid Co-operative added: “We are thrilled to be working alongside Anthony Nolan in the year they celebrate four decades of saving lives. “Anthony Nolan’s vital work to find matching donors for people with blood cancer is already resonating with our staff and customers. Our partnership isn’t just about raising money – it’s also about raising awareness.